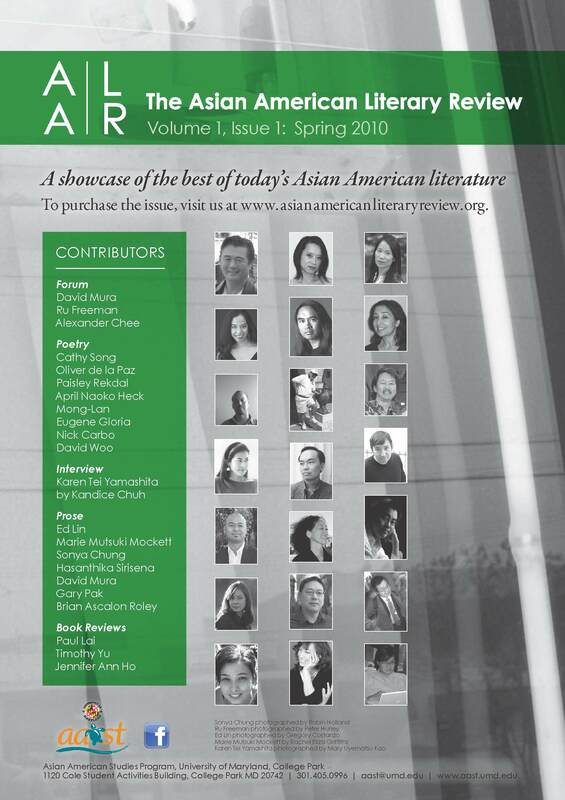 Congratulations to our friends at The Asian American Literary Review, who have just announced the release of their inaugural issue featuring poetry and prose by Oliver de la Paz, Mong-Lan, Cathy Song, Nick Carbo, Ed Lin, David Mura, and many other Asian American literary luminaries. 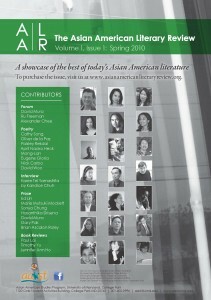 Issue 1 of The Asian American Literary Review is out! The issue is available by snail mail for $12 plus shipping and handling, and may be obtained using the subscription form on their web site. Copies can also be procured in person at their upcoming symposium or their panel at the Amnesty International Human Rights Art Festival in two weeks.